Want to know how we got from the photo on the left to the photo on the right in just 15 mins? That’s right, everything out of the boot of a car and assembled in just 15 mins. Not a furrowed brow or bead of sweat in sight. OK, just one bead. We managed to secure a (VERY) last minute slot at Prolific North Live Today. Just last night we confirmed the booking and within 12 hours we’re exhibiting. We can grab opportunities like this because our stands make us flexible. 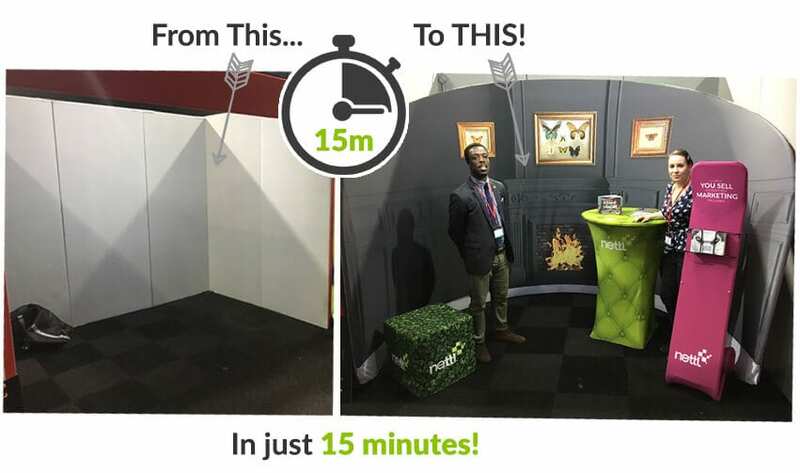 Your business can benefit from fantastic deals on exhibition spaces if you’re able to move quickly. With very little planning, we are able to just turn up with our branded booth, table and footstool in the back of a car. Within minutes we’re all set up and ready to go – Instant Expo in a box. Well, a boot. 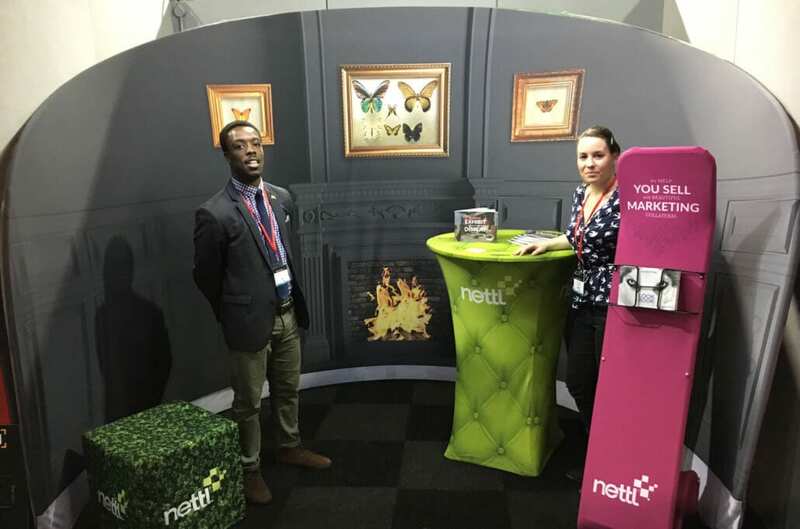 To get your hands on some next generation fabric displays, contact your local Nettl studio. Prolific North Live is taking place at Event City in Manchester today. The expo features leading exponents of digital, marketing, print, branding, content, advertising, PR, TV and film. The show is open until 5pm so if you can get there, we recommend it. You’ll need to move quickly though (Like us).